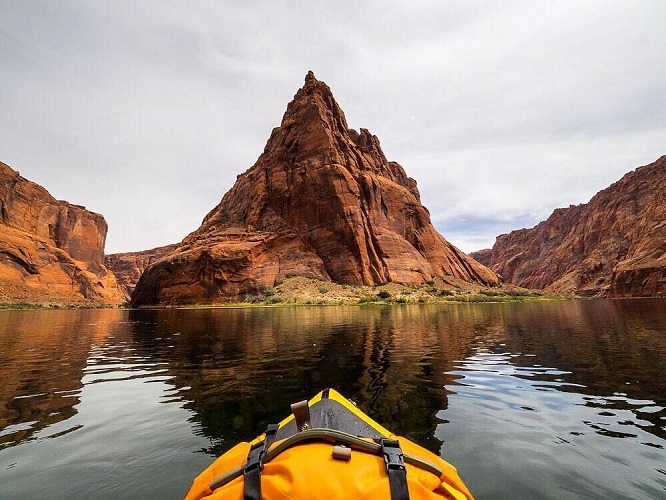 Kayaking, rafting or heading out on your SUP board are all great options to explore the magical canyons throughout the United States. Camping trips and exploring slot canyons make for an amazing vacation and memories for years to come. Colorado, Utah, and surrounding areas make for some beautiful waterways through winding canyons and jaw-dropping scenery. We picked a few to mention here from day trips to week long adventures. Pack along your drybag full of gear, a charged camera and get ready for a whole new experience! 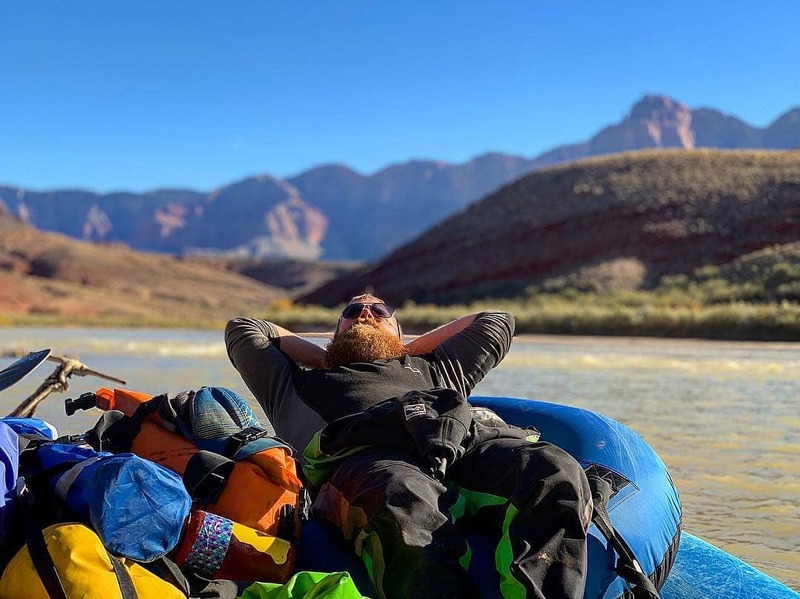 Floating down the Ruby and Horsethief Canyons on the Colorado River is a perfect trip for a family, large group or first timers. The magnificent views will have your camera out the whole way and the gentle rapids are perfect to learn the ropes. This ride provides a very mellow 25-mile float with one rapid, generally considered class II. With pristine views along the river there are plenty of options for overnight camping and side hikes to explore the canyon. The trip down the river will take about 2 days which is a great way to ease into the paddling world. The Bureau of Land Management has 34 designated, permit-only, primitive campsites scattered along the riverbanks; spots are well marked with small wooden signs and can be reserved up to 60 days in advance. Looking to sit back and let a guide take the reins for a fulfilled day? The Lower Browns Canyon section on the Arkansas River is a great option! This float offers fast-moving water, with just a few mild rapids. The perfect option if you are taking the kids out or someone just starting out on their water adventures. Half day trips are available nearby where the guides can tell you all about the history of the area as you float. Canyonlands National Park has a plethora of canyons (could you tell by the name?). With canyons at every turn take a trip down the Green River to explore the National Park by boat! Trek out in spring or fall for the best weather options. The summer can reach above 100 degrees and the winter months can bring frigid, below freezing temperatures. Canyonlands National Park is Utah’s second largest national park jam packed with geological history. 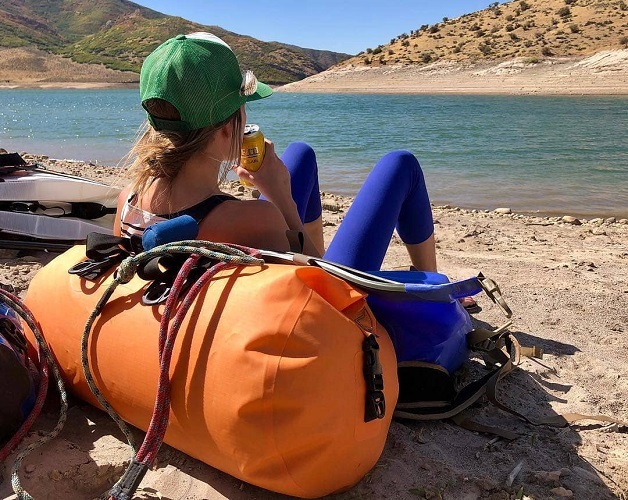 There is zero cell service on this float through the canyon so make sure you pack away the GPS, maps and other important items in a Watershed Drybag. For a 3 to 4-day trip the Yukon Duffel is the way to go. The ZipDry closure system is fail proof and will keep all your important gear dry during the journey! Please note: Pets are not allowed in the backcountry of Canyonlands National Park. Westwater Canyon, just over the Utah/Colorado border is not one for the faint of heart. With plenty of jumps and turns the Sock-it-to-me, Funnel Falls and Skull Rapids can all be found in this stretch. Situated right by Moab, Utah the best time to experience this trek will be spring and fall months because of the desert temperatures. 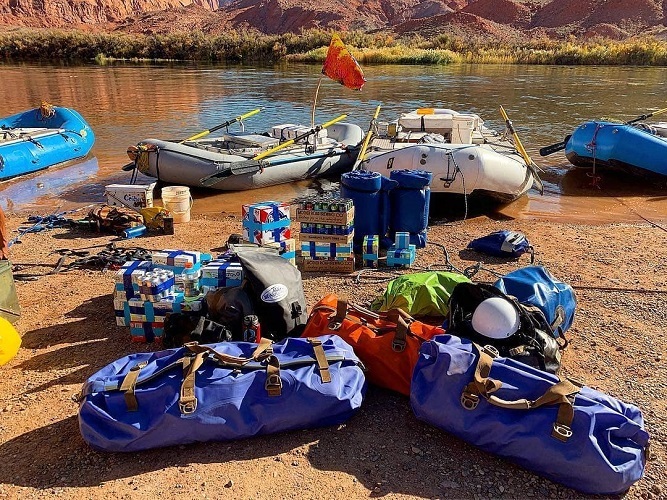 If you are not familiar with Class III and IV rapids you may want to check out a guide service such as Moab’s Sheri Griffith Expeditions. The guides here use oar boats—in which only the guide can maneuver the raft—so guests can hold tight and enjoy the adventure! Nothing wrong with a little roller coaster action! Headed down the river for a few days? Pack along the Westwater drybag and easily store everything you need in this air tight backpack. Hike hands-free from the raft and explore slot canyons or beautiful wildflowers with your gear in tow. Where is your next canyon adventure? ?